Eggs might be a perfect protein, but that doesn’t mean every keto breakfast has to include or revolve around them. Reaching your macronutrient and micronutrient goals is the most important factor on a keto diet, so enjoy fun, tasty ways to achieve your goals sans the eggs. Luckily, eggs aren’t nature’s only perfect protein. Omnivores and vegetarians (lacto) have more options. Vegans can find alternative sources by combining vegetables and keto-approved vegetable proteins and substitutes. In fact, you’ll find many keto recipes that use liberal amounts of nuts, seeds, and sometimes legumes to create keto baked goods, like muffins, scones, and pancakes. They provide protein and healthy fat. A twist on Fathead bread, this keto friendly dough gets a hefty dose of everything seasoning before baking to golden goodness. You’ll think you’re eating the real thing. Vegans can still enjoy their bagels too. You can substitute soy or cashew cream cheese in the recipe. The burst of lemony flavor and tender crumb of a muffin work beautifully in this adapted classic. These also freeze well, so you can keep them on hand for busy mornings. You’ll need a chia slurry to replace the eggs or use another vegan egg substitute, but they’re worth the extra steps. Holistically Engineered developed these sweet, eggless strawberry nut bars. 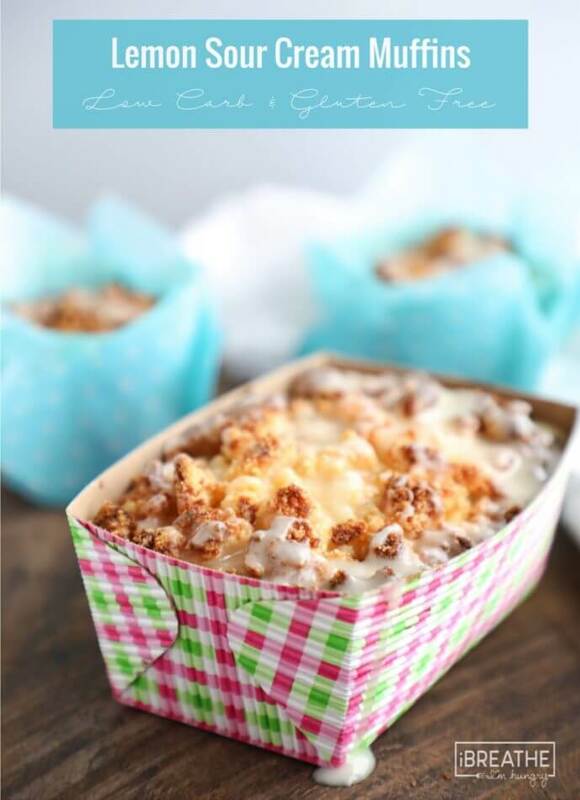 They will be a hit with the whole family, co-workers, and at get-togethers. 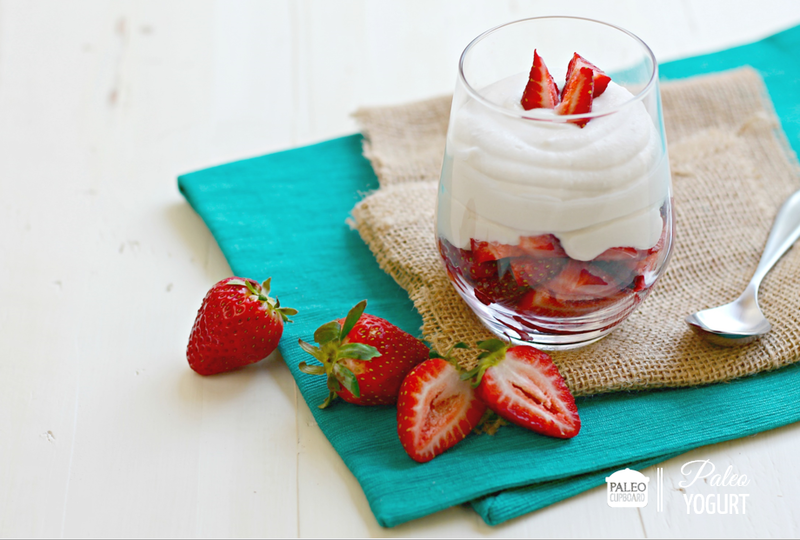 Simply layer your favorite low-sugar berries with full fat, unsweetened Greek style yogurt. 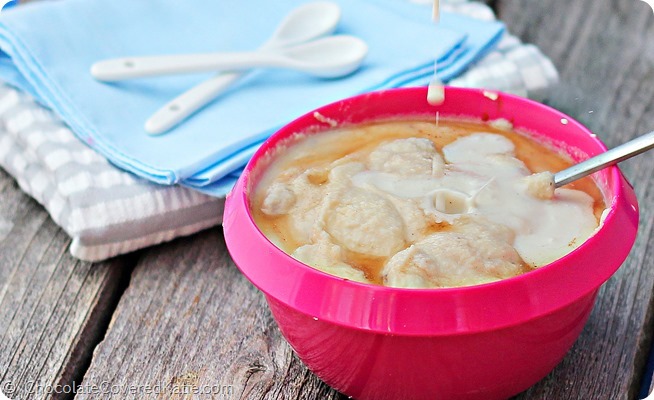 Need to make the recipe dairy free? Use store bought or homemade unsweetened coconut yogurt. Make a few and stash them in your fridge. This recipe is technically for the Paleo diet, but it’s easy to whip up and uses simple, wholesome ingredients common in a keto kitchen. Takes only 20 minutes serve it up with your favorite milk or yogurt. Remember to swap out the honey for a liquid keto-friendly sweetener. It’s acts like glue, but you could omit for a looser, less sweet granola. Riced cauliflower gives you a nice serving of vegetables at breakfast without feeling as if you’re noshing on veggies. 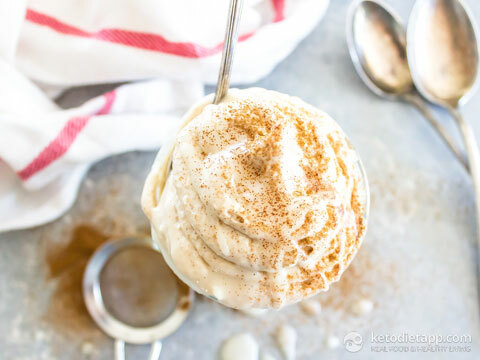 Unsweetened coconut adds flavor and texture too, but the best part is that you can really mess around with seasonings without worrying about your macros. Oh, this breakfast pudding works as a warm dessert on a chilly night too. A satisfying morning shake will get you off on the right foot. 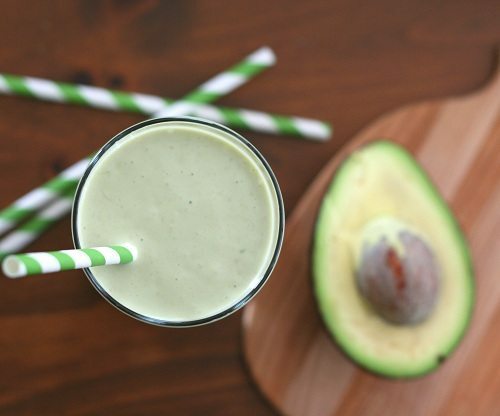 Avocado delivers a dose of healthy fats while protein powder provides extra bulk to keep you fuller longer. Matcha green tea gives you a hefty dose of antioxidants too. For a vegan shake, you’ll need to make a few swaps, but you likely already have a dairy free yogurt and protein powder in your pantry. The only downside to this recipe is controlling yourself because it’s that good. Luckily, the healthy fats and protein curb your sweet tooth and appetite. Have a hankering for the flavor of a cinnamon roll, but you don’t want to fall out of ketosis? Indulge in a delectable, healthy mousse that copies only the flavor. No guilt. No worry about ketosis or your waistline. Need it vegan? You can make substitutions for the dairy ingredients without too much change to the texture and flavor. Technically, it’s called keto cabbage with bacon, but add whatever you like, including meat free keto-approved alternatives. You could also try coconut bacon. Foodie Fiasco has a vegan and non-vegan version of their low carb take on a traditional high carb recipe. As the name implies, coconut flour replaces traditional wheat, but it gives it a thick, soft texture. You’ll find both yummy recipes below. She offers plenty of variations (egg free too, including conversions for flax and chia seeds) to satisfy your craving for waffles. You won’t miss the carbs, and the seeds give a nutty crunch that tastes like a real, carb-loaded multigrain waffle. Need a portable breakfast option that’s both keto and easy to make? This recipe combines nuts, coconut, flax, and a few other keto staples. Simply blend up ingredients, spread them in a pan, top with sugar free chocolate, and enjoy. Another perfectly engineered low carb, egg free breakfast classic is keto instant oatmeal. Chia seeds, shredded coconut, and flax meal provide the comforting texture of oats. Scones and tea pair together well, but traditional recipes come with a hefty done of carbohydrates, scant protein, and loads of unhealthy fats. This recipe cuts the carbs, ups the protein, and despite being oil-less, it still rocks a decent amount of fat too. With a texture similar to Cream of Wheat, the porridge comes packed with flavor, texture, and none of the carbs. The base of the recipe is one you can mess around with too. Porridge is a good way to sneak in extra fat or protein. Fat bombs have become increasingly popular keto snacks, but this bar version can easily replace your breakfast. The melt-in-your-mouth goodness provides fuel while the nut base gives a healthy dose of protein. Chia seeds are a wonderful gift from nature. In this recipe, they add texture and thicken your pudding while the orange and blueberries shine through for a bright start to your morning. You could substitute some of the OJ with orange zest or extract to lower the carbs. 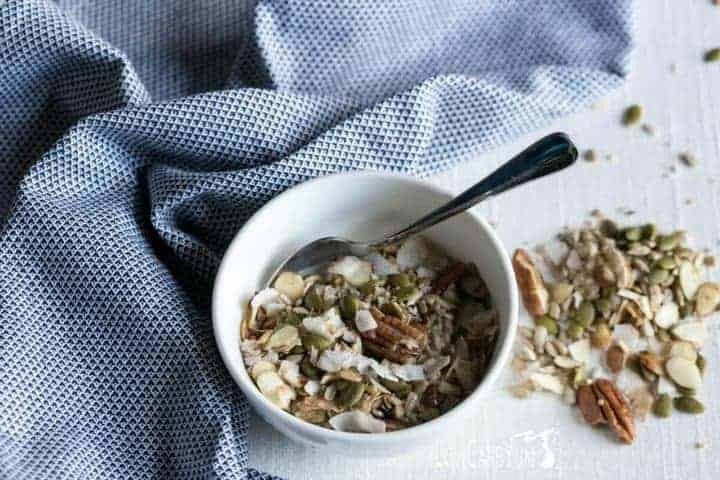 You have many options to build your own Muesli since it typically contains nuts, seeds, flake coconut, and a bit or oil and sweetener. Why settle for store bought when you can be in full control of the ingredients? The in depth differences she provides between drinking and eating a smoothie from a bowl make a lot of sense, but the recipe she delivers quickly outshines her seasons with all those healthy additions that turn what was once a delicious drink into a real, balanced meal that’s keto-friendly. Her point on using natural extracts to give you fruity flavors without adding carbs is a great idea too. Overnight oats deliver a brilliant, tasty concept for busy people, but can it be keto-friendly? Yes, it can. Hemp hearts and chia seeds offer you the feel of oats. Like traditional overnight oat recipes, you make them ahead. They’re ready by morning. Add your toppings, and you’re good to go. If you replace the applesauce and honey with pumpkin puree and stevia, you’ll be left with a delicious, tender crumb that you swear couldn’t be keto. Think of the flavor combinations you could create by changing spices or tossing in some nuts. While a tortilla by itself isn’t a breakfast, you can fill them with nearly any keto-approved food for a quick breakfast. These tortillas are soft and pliable. They don’t resemble cardboard, and you can use them for any meal. This method doesn’t require a yogurt maker or crockpot to make it at home. The beautiful part is that you’re making eight servings with each batch, which helps for planning out your meals and snacks. It’s also sugar free, and chia seeds are the thickening agent. Powdered acai and tropical essences make your breakfast taste like an exotic vacation. 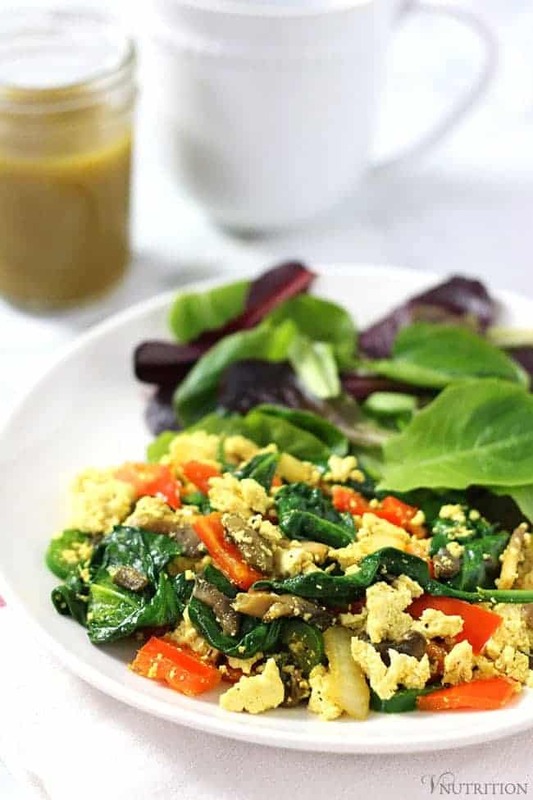 You’ll need to omit the optional egg, but the author added it for extra protein to fit her macro needs, so it doesn’t alter the consistency of this yummy blended bowl. 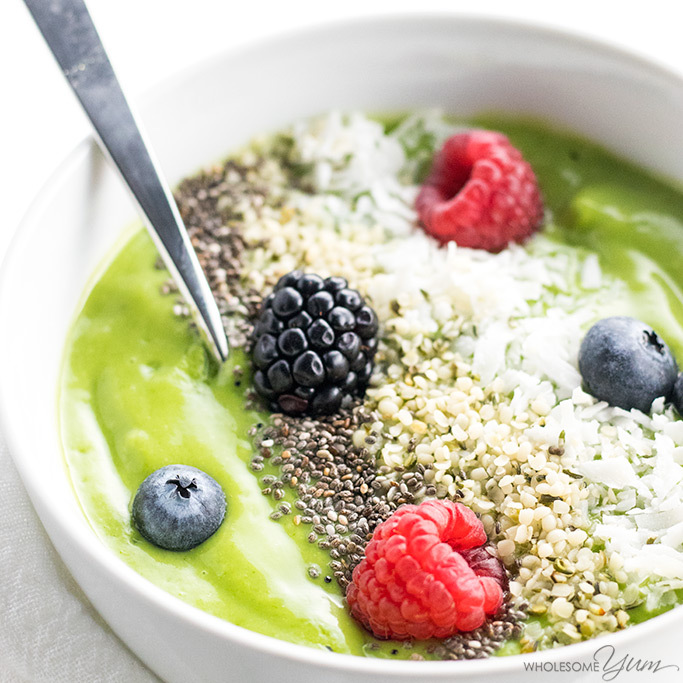 Refreshing lime, energizing matcha, and fueling avocado combine in this pick you up mousse to jumpstart your day. It takes minutes to whip up a batch of this savory breakfast. 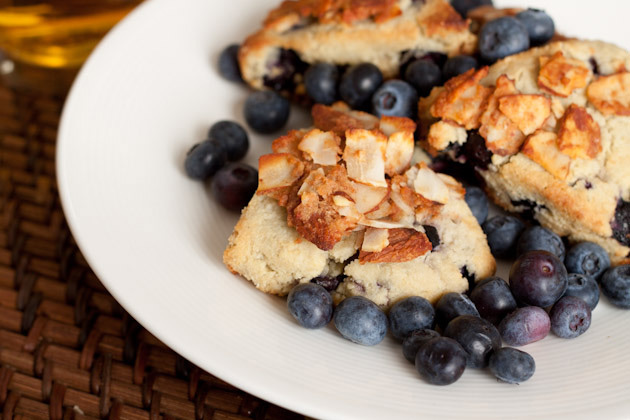 The ingredients are few for this tasty breakfast staple. It’s not an exact replacement, but it’s about as close as you will get to a real bagel thin. 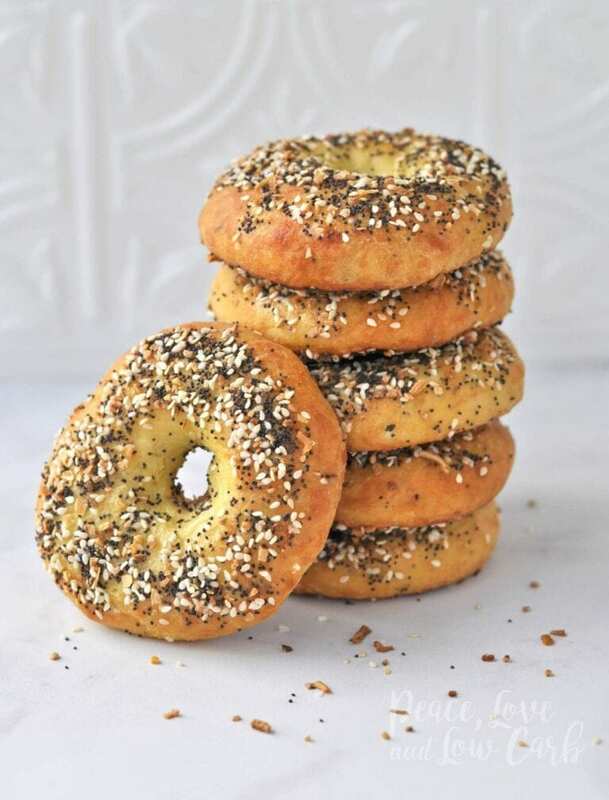 However, bagels are a canvas for you to enjoy plain or build meals on. At 2g net carbs per serving, your options are wide. She has a recipe for vegan smoked lox if you can spare the carbs. As implied, this is a vegan loaf of bread that you can use to make toast, breakfast or lunch sandwiches, or as a base for an eggless bread pudding. It does require a bit of work and many ingredients. If you’re already practicing vegan or eggless baking, you probably have them in your pantry. She also includes substitutes for the peanut butter, but this moist, cake like doughnut pairs well with a cup of keto coffee. You won’t be too tempted to go back for more since it packs a bit of protein, a nice dose of fat, and minimal carbs. If you’re a fan of rice or tapioca pudding, this one will surely be a keeper because the texture is near perfect. You can also omit the cacao for a vanilla chia pudding and try different keto-friendly extracts. Mashed cauliflower for breakfast might seem odd, but truly any food can be a breakfast food. 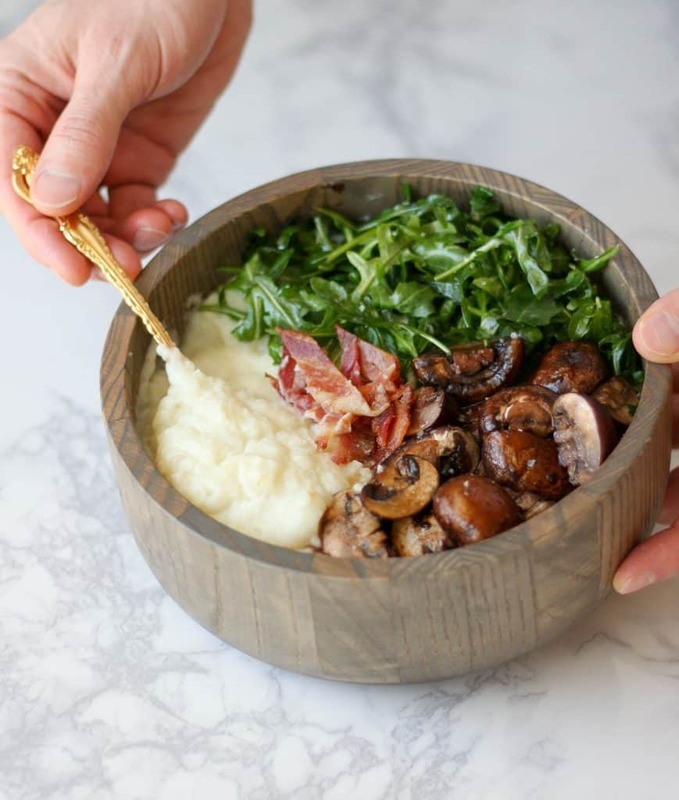 Sautéed mushrooms add protein to the rich greens, and the creamy cauliflower meshes well with the textures. If you’re not into eating meat, you can omit the bacon, use more mushrooms, or use a keto-approved meat substitute. Sometimes you have a hankering for potatoes, but you can’t risk the carbs or losing ketosis. What do you do? You find the next best thing with its perfectly crunchy outside and shredded, comforting soft insides. Slather on a keto-approved buttery spread (or butter) and enjoy this fall favorite any time of the year. You won’t miss the carbs in the flavor or texture. 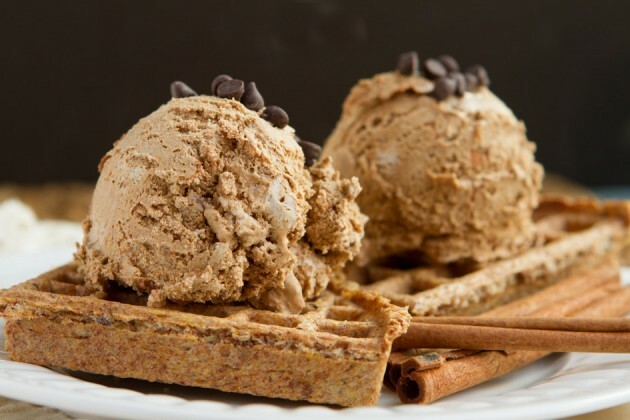 If you love pumpkin, be sure to check out her 11 pumpkin themed recipes. This dish is the closest you’ll come to eggs, and it’s included for those who might want eggs or an egg like experience, but they can’t have them. It’s a super healthy, filling breakfast too where you have a nice balance of macros. Another upside to a scramble is you can really customize it with what you have on hand. You can even fill a keto tortilla with a smaller portion for a portable breakfast. Don’t like tofu? You can substitute it for chickpeas or a non-soy tofu alternative. Chocolate Covered Katie offers some creative alternatives to classic foods. Her take on instant cereal works like a blank canvas for whatever you’re craving or have on hand. Most of her recipes contain substitute information to make her recipes keto-friendly if they already aren’t. 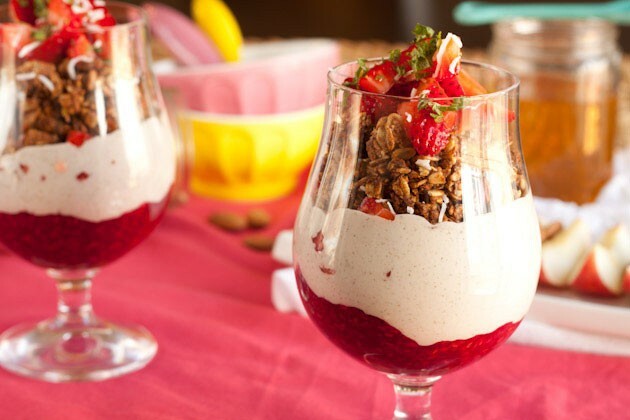 While this is technically a dessert, who says you can’t have panna cotta for breakfast? Toss on a few raspberries or a sliver of orange peel, shut your eyes, and savor this classic turned keto and vegan with good for you coconut and agar-agar. 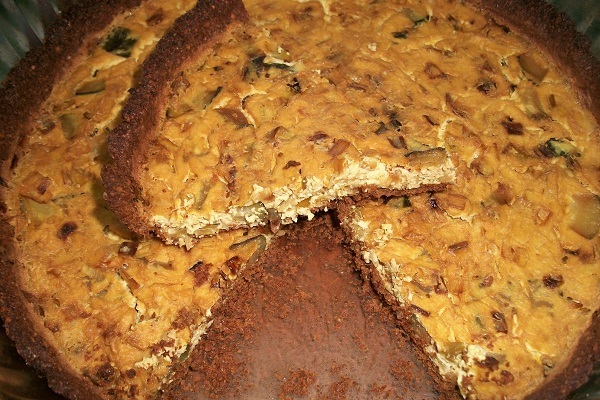 Another classic made eggless is the quiche. They’re versatile dishes that you can make or have for any meal. It’s great for using up leftover veggies too. Tofu sticks might sound like an odd substitution for traditional bread, but the flavors of cinnamon and sweetness blend well with the nuttiness of the tofu once it’s pan fried in coconut oil. At 1g of net carbs for a serving, enjoy a guiltless indulgence. You can microwave this cake for one or use a traditional oven, which takes longer but worth the wait. 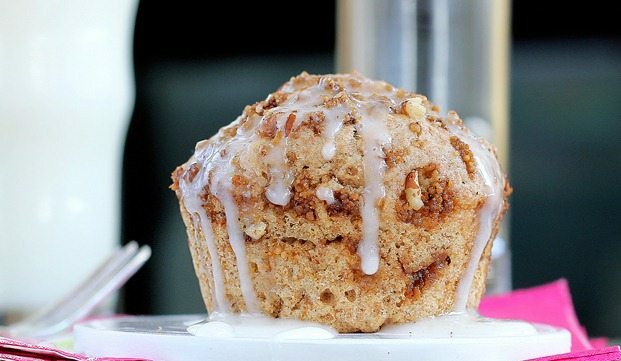 The moistness of the coffee cake and the crumbly texture of the streusel mimic the real thing. Best yet, it’s quick, easy, and doesn’t contain a bunch of crazy ingredients. You can make keto grits one of two ways: cauliflower or flake coconut. 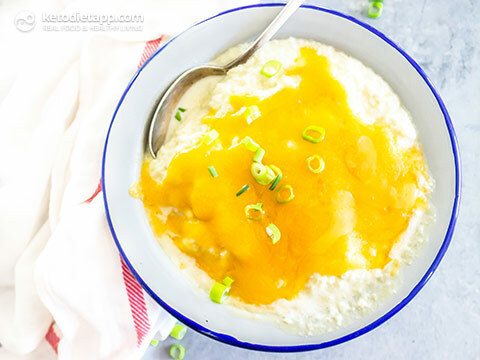 Both methods offer the texture of grits, and it can be a quick and easy breakfast option to eat by itself or as a base for other foods (similar to breakfast bowls). The cauliflower method contains heavy cream and butter. You can substitute keto-friendly options, but coconut cream will give it a varied flavor that’s far from traditional grits. There might be other substitutes that don’t. The coconut method does change the flavor too, but sans the shrimp and bacon in the original recipe, it’s a solid vegan option. Whether you’re a strict vegan, vegetarian, or you have food allergies, you understand how difficult it can be to find a protein bar that fits your needs. This version is soy free, tree nut free, and gluten free. Bonus: they don’t taste like cardboard. Breakfast is an important meal if you’re trying to lose or maintain weight, have blood sugar issues, and if you’re not intermittent fasting. Skipping breakfast can cause more harm than good and lead you to overeat or binge. Two keys to success with a keto diet are balancing your macros and planning your meals. Luckily, many of the recipes featured here provide both. No eggs needed. Simply good for your body and soul keto-friendly breakfast fare.